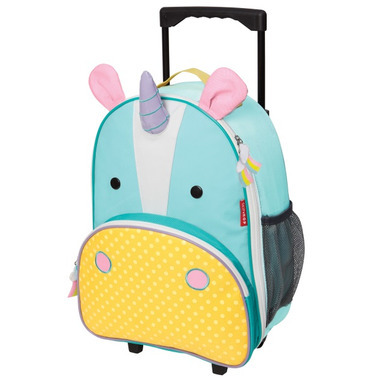 Skip Hop Zoo Kids Rolling Luggage will have little kids love rolling through the airport or to Grandma's with their own Zoo luggage. Sized perfectly for carry-ons and overnight trips, Zoo luggage is sturdy enough for everyday use or distant journeys. This is the second Skip Hop Zoo suitcase I've purchased for a grand child. They are adorable, sturdy, and the perfect size for overnight visits with Grandpa and me. 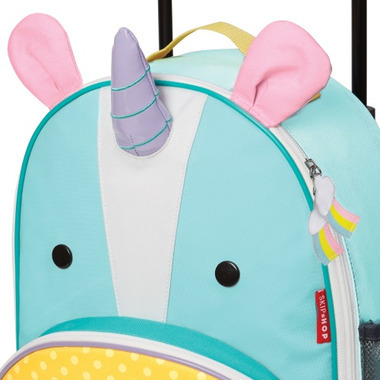 The Unicorn Roller bag is super cute! Looks exactly like the picture. Quality is amazing too. This is not our first SkipHop Rolling bag. We also have 3 others, one for each kid. 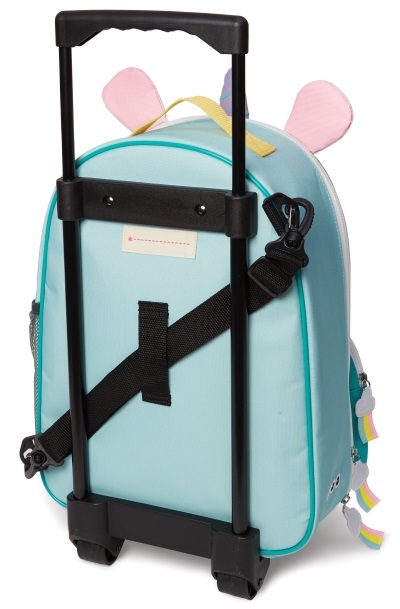 They are great bags, small enough but still hold lots. I can pack for a weekend and fit my 8yo's clothes in it perfectly.